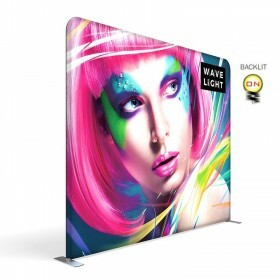 Table top pop up displays to suit any need from 4ft wide to 8ft wide with your choice of vibrant graphic panels or velcro-ready fabric panels. 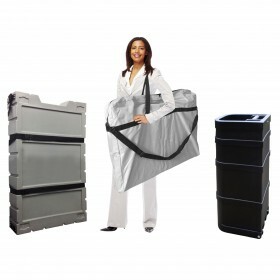 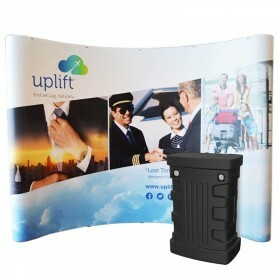 Your 1UP® brand pop up display includes our proprietary wheeled shipping case & "No Questions Asked" lifetime warranty. 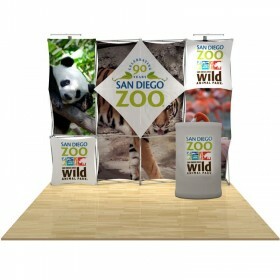 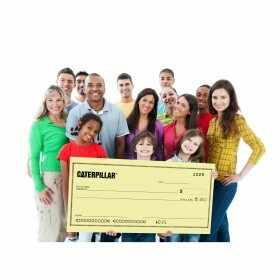 Premium Table Top Pop-Up Display Package Includes Complete Set of Velcro Receptive Fabric Panels & Rolling Carry Case. 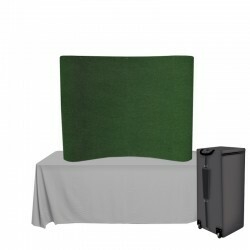 Set-up size: 4' wide x 3' tall. 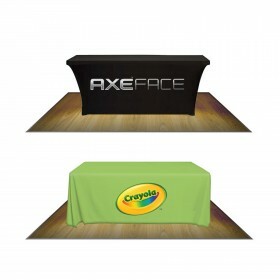 Premium Table Top Pop-Up Display Package Includes Custom Printed Center Panel, Velcro Receptive Fabric End Caps & Rolling Carry Case. 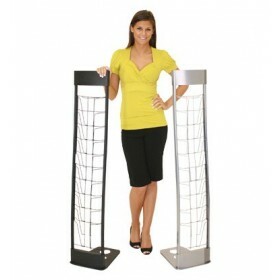 Set-up size: 4' wide x 3' tall. 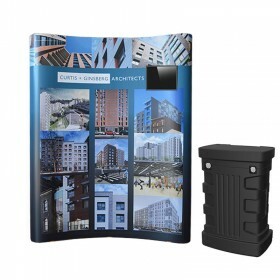 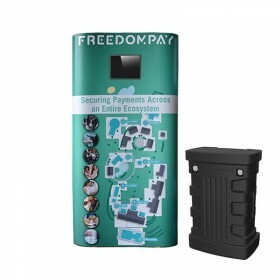 Premium Table Top Pop-Up Display Package Includes Custom Printed Center Panel, Custom Printed End Caps & Rolling Carry Case. 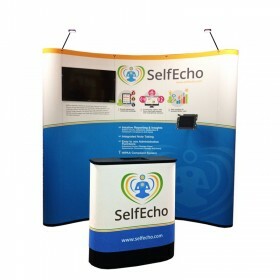 Set-up size: 4' wide x 3' tall. 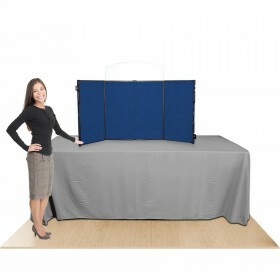 Premium Table Top Pop-Up Display Package Includes Complete Set of Velcro Receptive Fabric Panels & Rolling Carry Case. 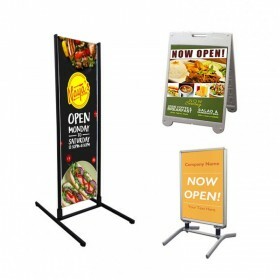 Set-up size: 5' wide x 4' tall. 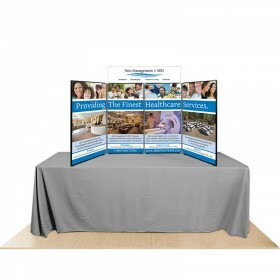 Premium Table Top Pop-Up Display Package Includes Custom Printed Center Panel, Velcro Receptive Fabric End Caps & Rolling Carry Case. 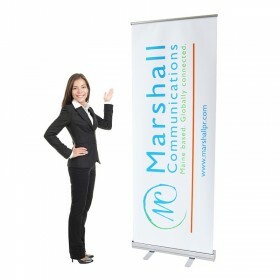 Set-up size: 5' wide x 4' tall. 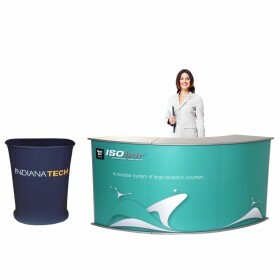 Premium Table Top Pop-Up Display Package Includes Custom Printed Center Panel, Custom Printed End Caps & Rolling Carry Case. 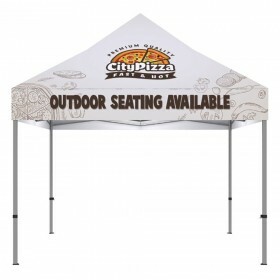 Set-up size: 5' wide x 4' tall. 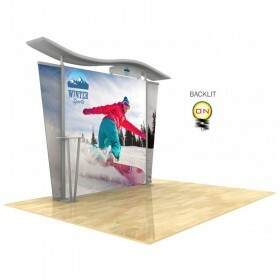 Premium Table Top Pop-Up Display Package Includes Complete Set of Velcro Receptive Fabric Panels & Wheeled Shipping Case. 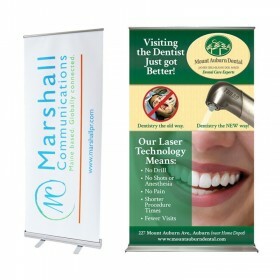 Set-up size: 6' wide x 5' tall. 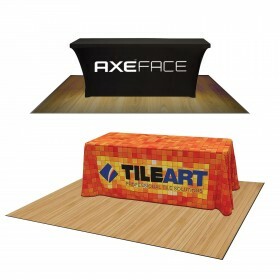 Premium Table Top Pop-Up Display Package Includes Custom Printed Center Panel, Velcro Receptive Fabric End Caps & Wheeled Shipping Case. 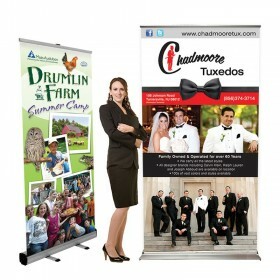 Set-up size: 6' wide x 5' tall. 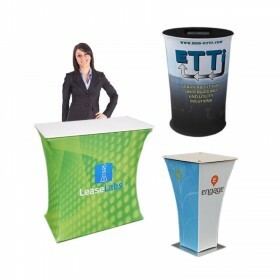 Premium Table Top Pop-Up Display Package Includes Custom Printed Center Panel, Custom Printed End Caps & Wheeled Shipping Case. 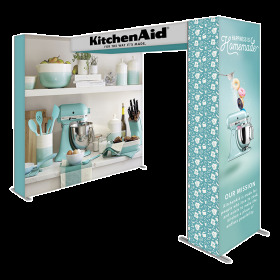 Set-up size: 6' wide x 5' tall. 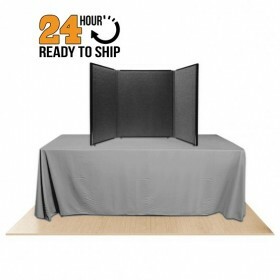 Premium Table Top Pop-Up Display Package Includes Complete Set of Velcro Receptive Fabric Panels & Wheeled Shipping Case. 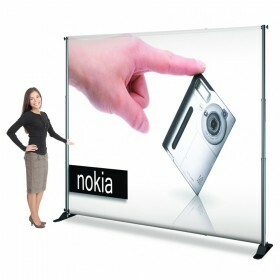 Set-up size: 8' wide x 5' tall. 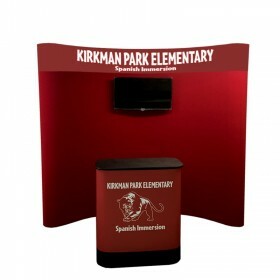 Premium Table Top Pop-Up Display Package Includes Custom Printed Center Panel, Velcro Receptive Fabric End Caps & Wheeled Shipping Case. 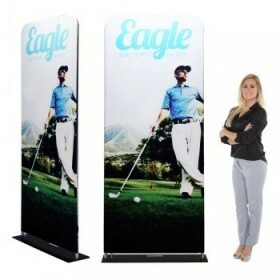 Set-up size: 8' wide x 5' tall. 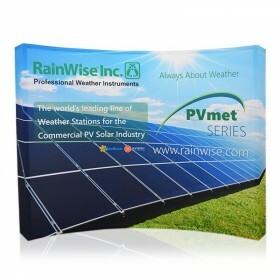 Premium Table Top Pop-Up Display Package Includes Custom Printed Center Panel, Custom Printed End Caps & Wheeled Shipping Case. 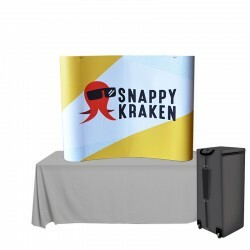 Set-up size: 8' wide x 5' tall. 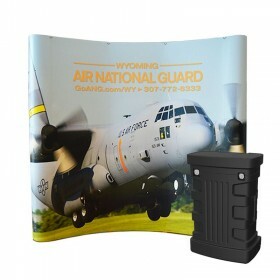 Here at AffordableDisplays.com, find your next top-notch Made in the USA pop up display! 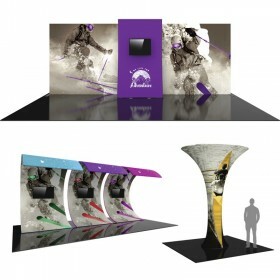 We've produced exclusive table top 1UP® pop up display series with the exhibitor in mind and offer it in four different sizes to suit any need. 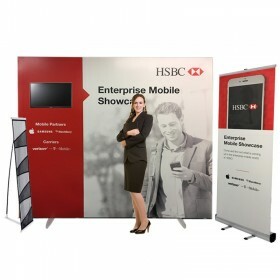 Beginning with our popular 4ft wide mini pop up display you'll find it is ideal for small presentations or when space is limited. 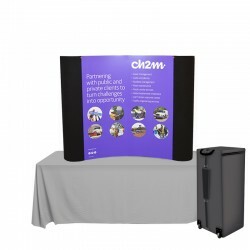 Our intermediate size, 5ft wide, fits perfectly on any standard 6ft folding table providing extra room for brochures or giveaways. 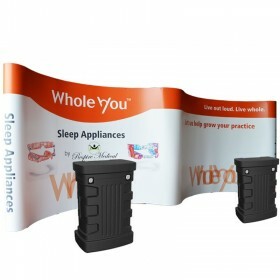 The 4ft wide and 5ft wide pop up display models are always available with your choice of all fabric panels, fabric/graphic combo and even full color graphic panels. 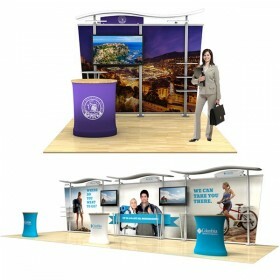 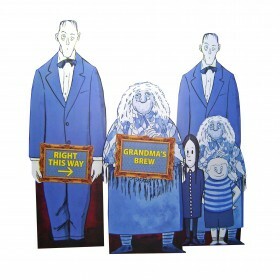 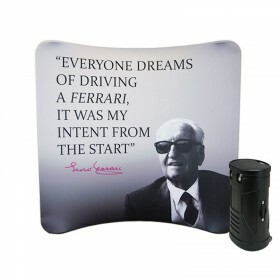 By far our most popular size is the 6ft wide model also fitting perfectly on any 6ft wide trade show table. 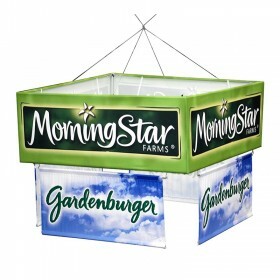 At an impressive 5ft tall, you'll soon realize the ample space available on this pop up display, all while being contained within a table top display. 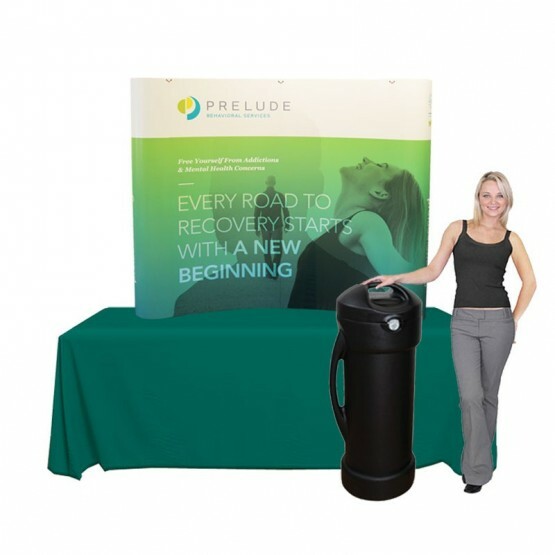 The largest table top size available is our 8ft wide by 5ft tall model which sits comfortably on an 8ft wide trade show table. 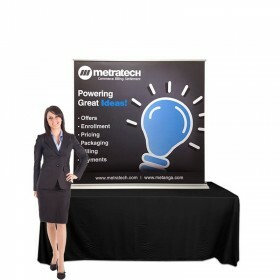 All table top 1UP® pop up display models are available in Premier Eco-fabric® Velcro® receptive fabric, velcro fabric/graphic combo or the full color complete set of graphic panels. 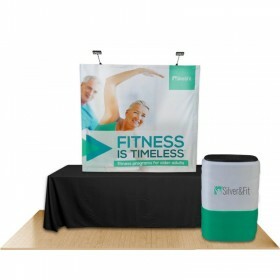 You'll quickly recognize the characteristic curve to the panels when set up on the table offering a streamlined look and feel. 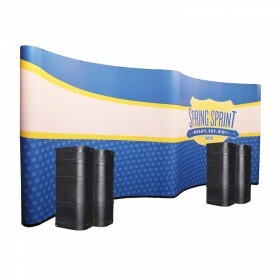 Each 1UP® pop up display arrives complete with a wheeled shipping case to hold the aluminum framing, magnetic channel bars, front center panels, rounding end cap panels. 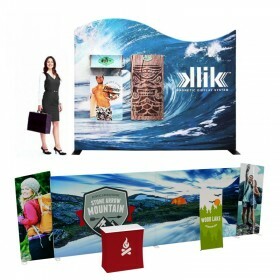 You'll be amazed at the compact style of these classic trade show displays and lightweight nature with each model weighing between 16 and 45 lbs. 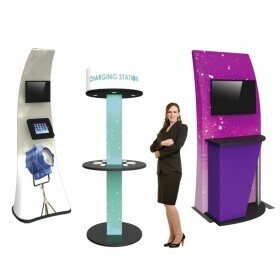 Our 1UP® pop up display has been on the market since 1999, all while proving to be a top contender in the trade show display industry. 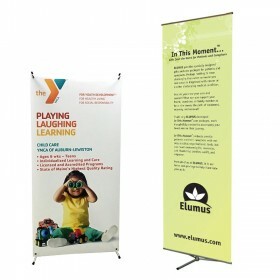 We're confident you'll notice the quality and durability right away and it will prove itself show after show for many years to come. 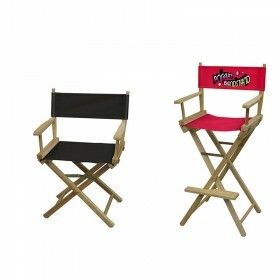 In the very rare instance you have an issue with your frame (<1% repair rate), we offer a Lifetime "No Questions Asked" Warranty on the 1UP® frame components. 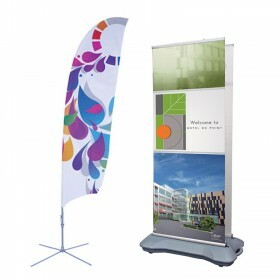 Offering simplified set-up with the self-aligning magnetic attachment of the panels to the aluminum frame. 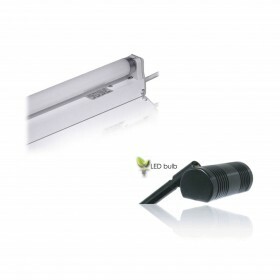 The mating magnetic will do all the work and just ‘click’ together. 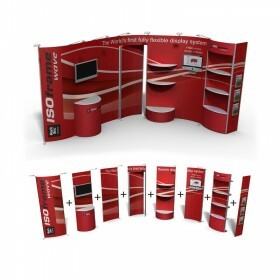 A pop up display might be considered a classic trade show display style but it will provide that visual impact you are looking for.